LONDON, Nov. 07 /CSRwire/ - For another year, Global Sustain demonstrates its commitment to sustainable development and the creation of shared value for stakeholders, by presenting its third Annual Report 2017 for the reference year 2017 (January 1, 2017 - December 31, 2017). The company considers sustainability reporting an integral and crucial part of its business strategy, demonstrating its steady orientation in achieving economic performance but also in sustainable growth. This report includes data from Global Sustain Limited (established in London, UK), Global Sustain GmbH (established in Berlin, Germany) and Global Sustain S.A. (established in Athens, Greece). For the reporting year 2017, Global Sustain conducted an updated materiality analysis that covers the Group, thus including in the Report new material issues and stakeholders. 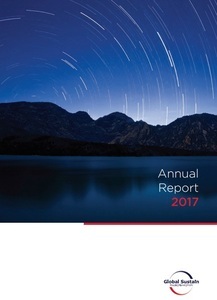 This year’s Report was prepared in accordance with the GRI Standards (“Core”), the principles of the United Nations Global Compact, the Sustainable Development Goals (SDGs) the International Integrated Reporting Council framework (IIRC), the AA1000 AccountAbility Principles Standard 2008, as well as disclosures based on Global Sustain PRI (Principles for Responsible Investment) signatory commitment. The content of the Report relevant to sustainability data has been assured by TÜV AUSTRIA Hellas, while the financial figures for Global Sustain S.A. have been assured by RSM Greece S.A. Financial data for Global Sustain operations in UK have been prepared by the company’s-chartered accountants Oury Clark, and for Germany by Schwarzkopf, according to national accounting standards. The Report is designed by Global Sustain member Sympraxis Team. For the full Global Sustain Annual Report 2017 press here.